That kitchen is getting a little old. A few of the cabinet doors just don’t hang right anymore. The counter tops are scratched and more than a little stained. Not to mention the linoleum flooring is peeling up in a few places. All in all, your kitchen is starting to look like a bad seventies job, and eating your morning cereal just isn’t the happy experience it used to be. Sound familiar? The VA Cash out refinance program may be just the thing you need. For expensive kitchen and other renovations, many homeowners do a cash-out refinance on their homes to get the extra bit of cash they need. A refurbishment might increase the overall value of the house, or at the very least, make your home more comfortable. But you don’t have to be redoing your house to refinance with cash out. This extra money can also pay for credit card debt, a student’s tuition, car payments, a much-needed vacation, or pretty much anything else you would need to pay for. A cash out refinance occurs when a borrower refinances their mortgage with a new loan that is actually larger than the existing one, and they get the difference back in cash. Don’t confuse this with a home equity line of credit, also known as HELOC, which is very similar. So, where does the extra money come from? From you, in a way. All the equity you’ve built up on your current house so far can be used for cash out. Equity, if you don’t already know, is the difference between the value of your home and what you have left to pay (AKA what you’ve already paid into principal). The homeowner can take all or part of this equity as cash and add the amount they take to the existing amount of their loan, creating an entirely new and different loan with different rates. The interest on this will probably, though not necessarily, be lower than with a HELOC. When taking out this new loan, you will need to get your purposes approved by the lender. It’s very unlikely they will disapprove since they’ll be making a profit from you one way or another. That being said, still make sure you’ll be using that money for good reasons. You do pay closing costs, unlike with a home equity loan. Closing costs are the main reason why anyone hesitates to do a cash-out refinance. Besides the extra amount you pay towards interest on the new money you’ve taken out, the closing costs can add thousands more. Think about other ways you can pay for your needs besides going with the cash-out option. While this can work great for some, you will be spending a lot more money in interest than if you just paid for your needs with money you had stashed away somewhere. 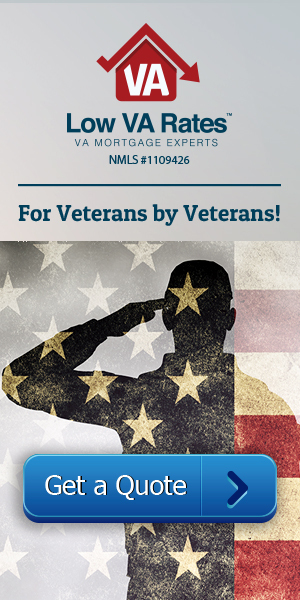 All of that might sound intimidating but the VA cash-out might still be beneficial for you. You might get a much lower interest rate, which could end up saving you money each month. Just figure out how much this would be and if it would be worth it against how much more you would be spending. It also depends on what you are using the money for. If it is an emergency, you may not have any alternatives, and this decision could save the day. A VA cash-out refinance is going to have a few more benefits than a non-VA approved loan (like up to 100 percent LTV rather than just 85). But with any loan, remember to take your time deciding what will be the best change for you and your house.